 This hop produces red grapefruit overtones reminiscent of Cascade are overlaid with tropical fruit and ripe melon. Nitrogen purged packaging. Buy now! 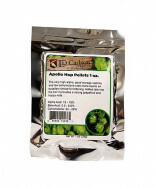 Also known as VGXP01, the Amarillo® variety is exclusively managed by Virgil Gamache Farms of Toppenish, WA, where it was originally found growing wild in 1998. 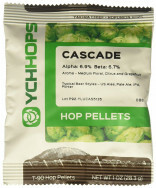 With respectable alpha acid content, Amarillo® can be a dual-purpose hop and contribute to bittering additions, but with its unique, highly sought-after aromas and flavors combined with high demand, it’s most often seen in late-kettle or whirlpool additions and as a dry hop. 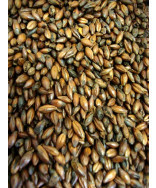 Amarillo® is intense and pungent. Red grapefruit overtones reminiscent of Cascade are overlaid with tropical fruit and ripe melon. It can contribute a renowned musty “dank” quality much prized by those who love it.